This clever and highly original OVA series pits a lone gunwoman against a creature that is quite literally indestructible. Zeiram is so unbeatable, he makes Majin Buu look like a rank amateur. But what really makes Iria so interesting as a series are the stylistic touches that make the weird technology of the world they inhabit seem so practical and functional. This is one series that will have your brain racing to try and make this stuff work! 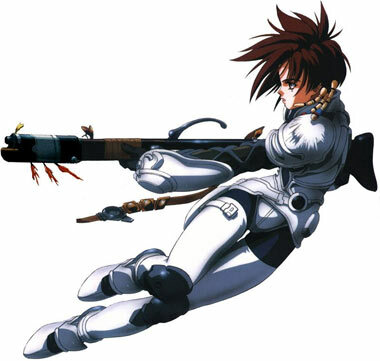 From the unique designs of vehicles and weapons to intricate plotline, Iria is a feast for the eyes, ears, as well as the brain — the story is awesome — so good that there was a live action film done as well! 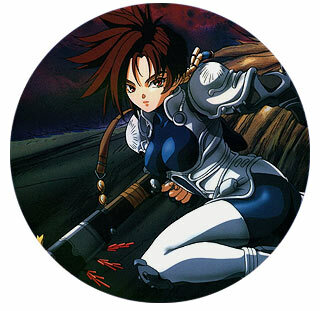 Topped with tons of action and a true, heroic female lead, Iria has everything an anime fan can hope for.